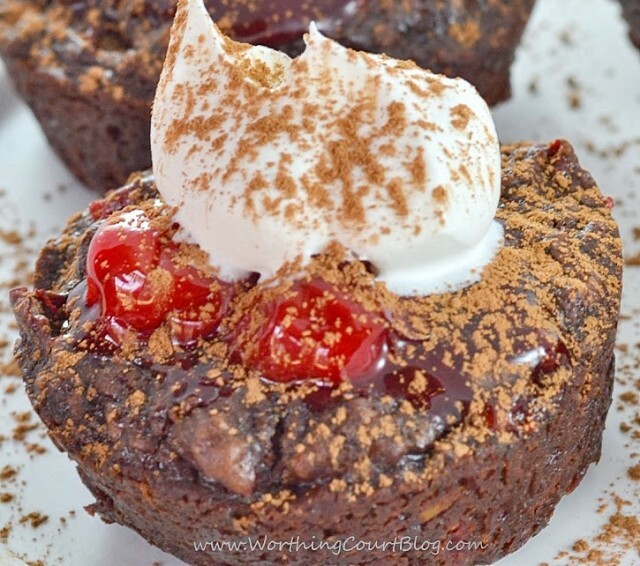 Chocolate + Cherries = The Perfect Valentine’s Day Treat! 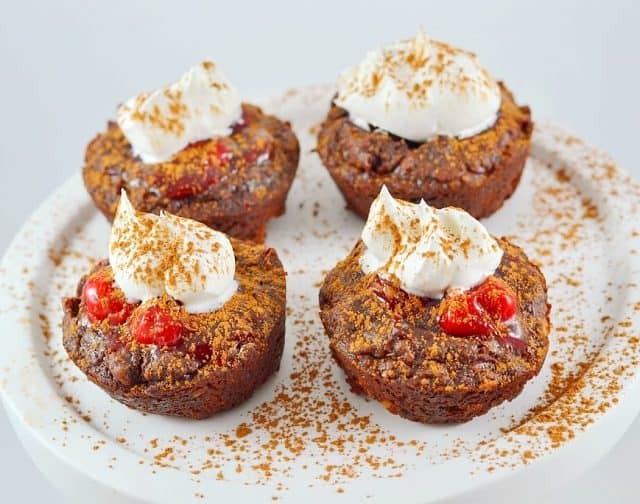 If you love chocolate and you love cherries, you just might find this recipe addictive. Perfectly moist on the inside with a slightly chewy outside. Yum and Yum. These bad boys did not last long at my house! Coat twelve 2 1/2" muffin cups with nonstick cooking spray, set aside. In a large bowl, slightly beat egg. Add brownie mix, 1/2 can of the cherry pie filling and butter pieces. Stir until well blended. Scoop 2 heaping tablespoons of the mixture into each muffin cup. Each cup should be roughly 2/3 full. Remove from the oven and chill in the refrigerator for 5 minutes. Do not remove the brownie cups from the pan. Remove from the refrigerator and create a sunken down area in the middle of each brownie cup using the back of a spoon. Fill each sunken center with 1 tablespoon of the cherry pie filling. Return to the oven and bake for 12 - 15 more minutes. After baking, completely cool on a wire rack before removing the brownies from the muffin tin. 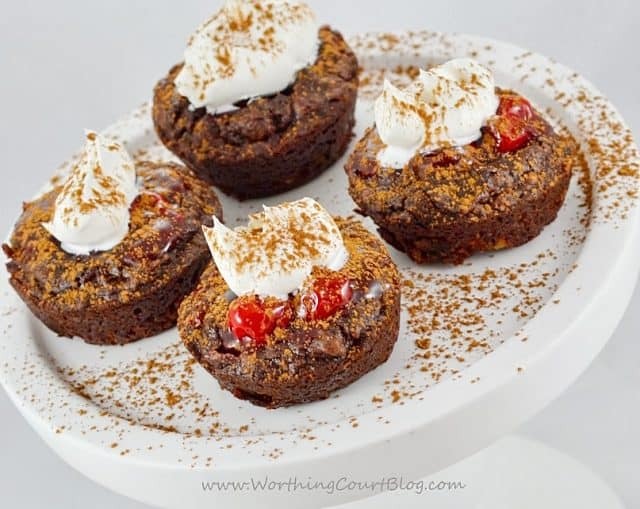 To remove the brownies from the muffin cups, run a sharp knife completely around the edge of each one and gently lift the brownie out of the cup. Do not turn the muffin pan upside down to remove the brownies. To serve - top each brownie with some of the frozen whipped desert topping and dust with unsweetened cocoa. I can guarantee that I won’t only serve these for Valentine’s Day. I can’t wait to make another batch! These do look and sound delicious. Will you be my Valentine? Awww…you know I will! <3 These really are yummy and I hope you'll give them a try. Yum! Anything with brownies is speaking my love language! These look so yummy!!! I like strawberries more than cherries, so I’m going to substitute. Either way, mmmmmmm!